With Thanksgiving only one week away, all you savvy shoppers out there are eagerly awaiting the impending barrage of sales that immediately follow on Black Friday (11/24) and Cyber Monday (11/27). Yet hotel, airfare, and vacation package sales don't always come to mind this time of year. Reward yourself this holiday by booking your next vacation - or adding an unexpected getaway - at steep discounts, all from the comfort of your living room. Keep an eye out for more deals leading up to the holiday. For example, Wyndham Vacation Rentals just announced savings up to 40% during their planned 100-hour Black Friday sale. 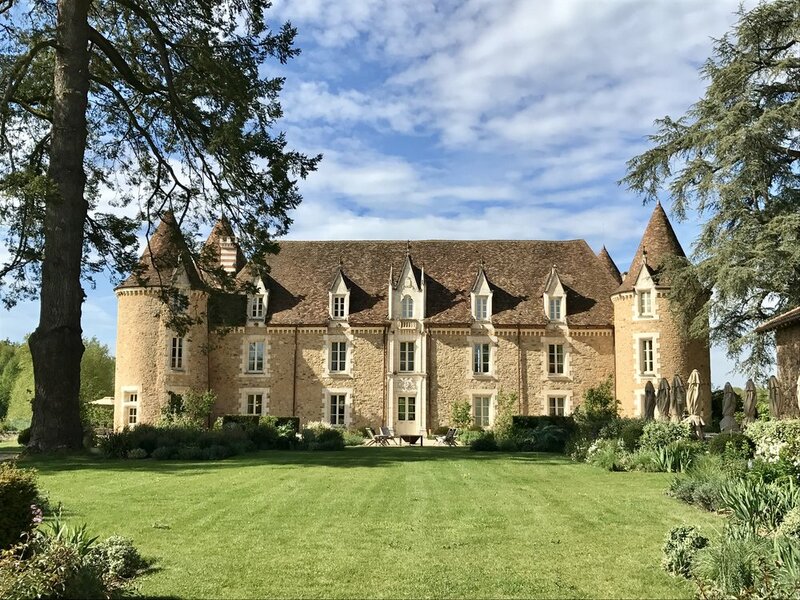 SLH offered 50% off Suites at select properties During BLack Friday 2016, including This Stunning French Chateau. This Photo is From Our Magical Stay in April. During the last two years, many of the best travel sales occurred on Cyber Monday (falling on 11/27 this year), some lasting only a few hours. If you are working that day, dedicate some time at lunch or during a break to snap up a deal or two. Most brands will tease the sale in advance, so make sure to monitor your emails and social media feeds. Follow Compass & Key on Facebook to see our picks of the best travel sales throughout the holiday period. 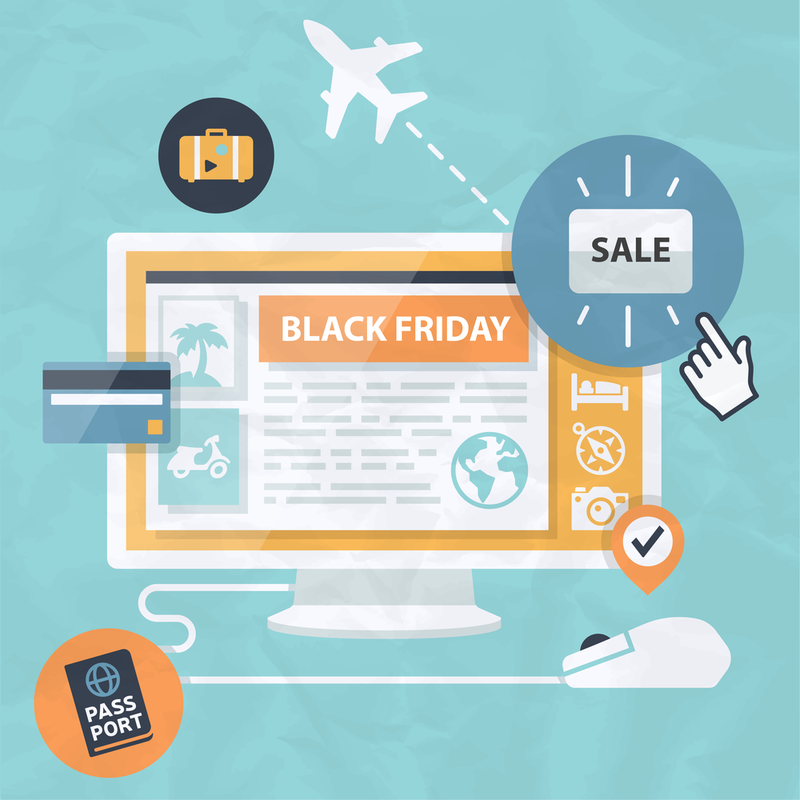 If you have a preferred airline or hotel chain, make sure you're signed up for their email list to be the first to learn about sales around Black Friday/Cyber Monday. For example, we have status with Starwood hotels and American Airlines, both which offered tempting sales around the Thanksgiving holiday in 2016. We also enjoy boutique hotel stays, so we'll be watching Mr. and Mrs. Smith, Tablet, and Small Luxury Hotels, to name a few. And remember that sales also extend to travel accessories, including luggage, cameras, outdoor gear, and more. The advertised sale price may not work with specific travel dates, so if you can, be flexible. Those willing to travel last-minute, during off-season months, on weekdays, and outside of holiday periods could save a bundle. DealNews noted that 14% of last year's best Black Friday deals were for travel before the end of the year, which could be an ideal way to take advantage of any unused vacation days. This tip is particularly important for vacation packages that include airfare and hotel. What appears to be an incredible deal may, in fact, only reflect a small discount off the typical price. Running a quick search through sites like Kayak or Skyscanner helps you determine typical flight costs, while Booking.com outlines hotel prices. We're fans of Skyscanner's map tool, allowing you to peruse flight prices from any destination airport for a given month. With these tips from Compass & Key and a little preparation, your next vacation could be much cheaper when you take advantage of Black Friday 2017 travel sales. Now all you have to do is spread the good news to your friends and family who love to explore the world! What travel sales will you be looking for during Black Friday 2017? Share your tips with the Compass & Key community in the comments below.